The Crawfish Boil and Bull Riding will benefit the Jackson County Law Enforcement Association! Gates open at 11 AM and Bull Riding begins at 2 PM. 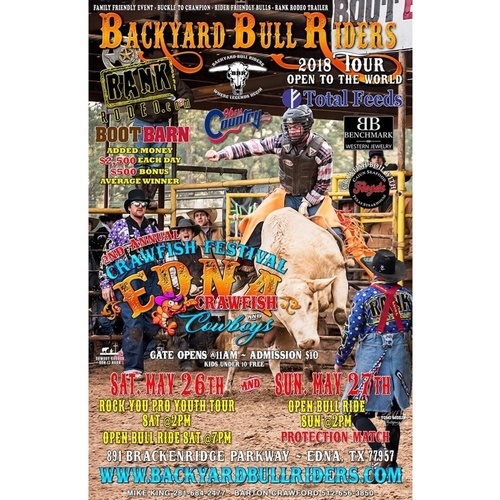 For more information, visit www.backyardbullriders.com or call Mike King @ 281-684-2477 or Barton Crawford @ 512-656-3850. Floyds Cajun Seafood will provide the crawfish @ $5 per pound.